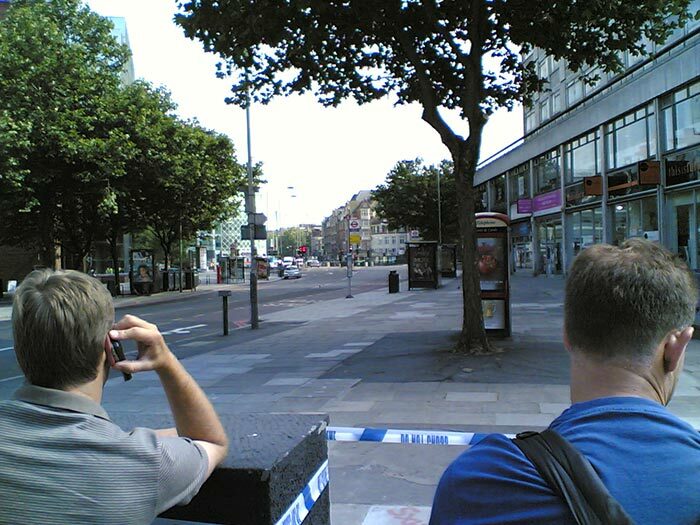 London was again a victim of bomb attacks today. Three tubes and a bus were targeted but this time the terrorists were even bigger amateurs and did not successfully detonate one of the bombs. Warren Street tube station was targeted; a station I pass through everyday on my way to work. I had to walk some of the way to Euston tonight, here is a shot of Warren Street tube station. I didn’t realise just how close it is to Euston.